Forbes: You have said that you are investing in communities and infrastructure in Africa. Can you tell us more about your Africa plans? NC: My plans are to start serving my industry, brands and the continent. And seeing that we are such big consumers [of brands] in the rest of the world, yet we don’t have it ourselves on the continent… And it’s what works in all businesses, like fashion, architecture and technology. We are big influencers so why don’t we have these things? It’s mind-blowing, so now is the time. Forbes: You are working a lot with African designers? NC: I want to take them out into the western world and bring the western world in… so vice versa. Forbes: Are African designers in demand in the West? NC: Yes, because of the textiles. I don’t want to see that their textiles are copied and they don’t get credit for what they have done. Forbes: Lending your celebrity to important causes, you have worked for global health, women’s rights etc… is there any passion project that you are working on right now? NC: My passion project is Africa. It is such a beautiful rich culture, with minerals and so many natural resources. Forbes: All through your career, how have you managed to be so versatile across diverse industries? NC: There’s no plan to me, I just do what I feel. I [go with] gut instinct really of each thing I commit myself to doing, and I always follow through. 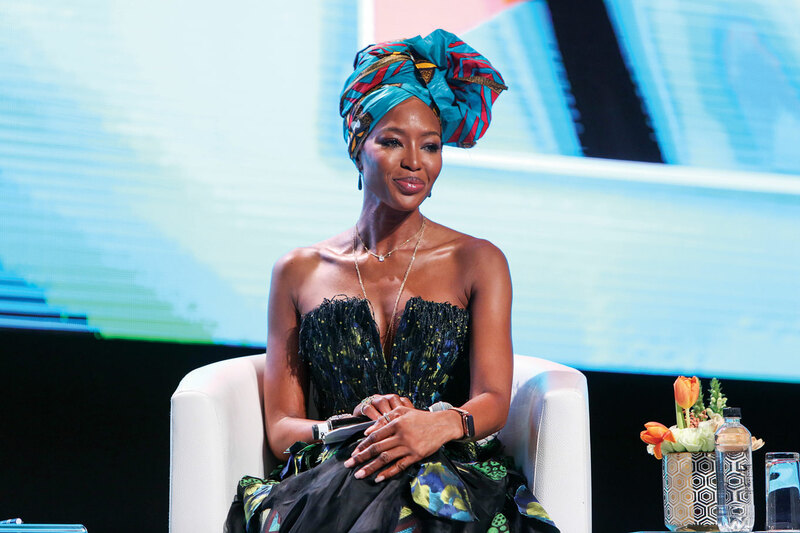 Forbes: What is the best part of being an African woman in the 21st century? NC: African women have always been extremely strong. On the African continent, people are really smart… I have always had high respect for them.